This model is built to scale and includes a lot of detail in the front control panel as well as the rear plug in and power panels. 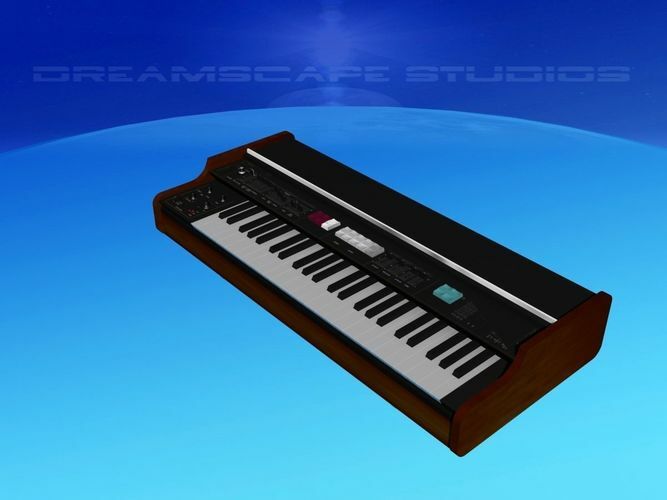 The model includes the ability to animate the individual band level and other controls. The model is realistic in appearance and ready for your scene. The VP-330 is a fantastic sounding vocoder synthesizer from 1979. The vocoder utilizes a series of filters to analyze incoming audio, typically from a microphone, and converts it into control voltages that then in turn control a second series of filters to create vowel like filter dynamics.